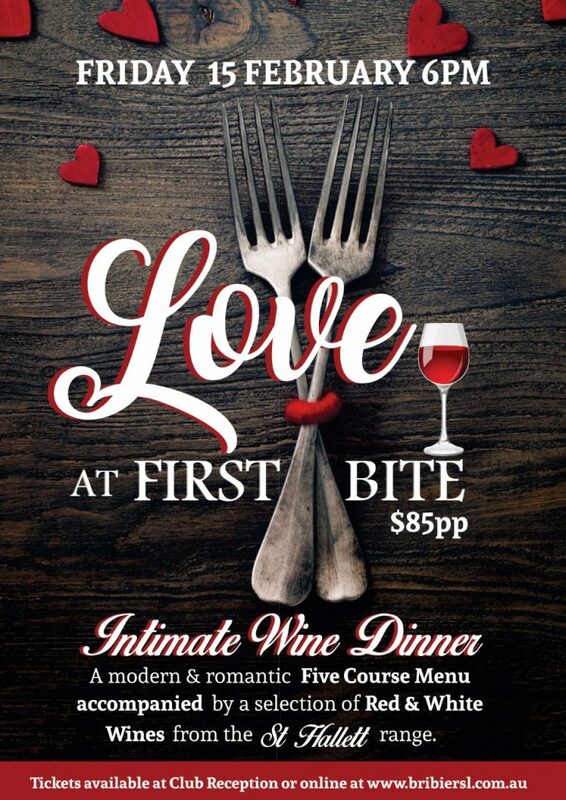 Celebrate the art of wine with your loved one, at our next intimate wine tasting dinner. A modern five course menu accompanied by a selection of gorgeous wines from the St Hallett range. Dine amongst the fairy lights and cherry blossoms for a memorable evening. Tickets $85pp – Friday 15th February. Tickets available at www.bribiersl.com.au or from Club Reception.